EAC Secretary General Dr Richard Sezibera with the Belgian Ambassador to the EAC, H.E. Paul Cartier, after they held talks on bilateral cooperation between the EAC and Belgium at the EAC Headquarters in Arusha, Tanzania. 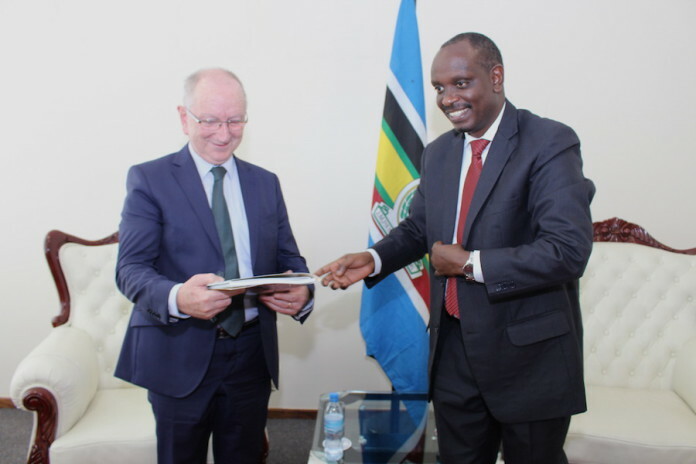 The European Union (EU) and Belgian envoys to the East African Community (EAC) have pledged to support the regional body’s activities. 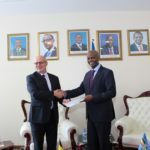 The EU Ambassador to Tanzania and the EAC Roeland van de Geer Paul and his Belgian counterpart Paul Cartier made the pledges as they separately presented their credentials to EAC Secretary General Amb Dr Richard Sezibera, in Arusha, Tanzania. Amb van de Geer noted that the EU’s assistance to the EAC was broad covering almost all sectors of the integration agenda, reaffirming that the EU would continue providing this support. 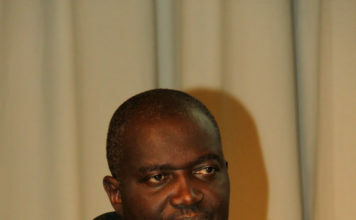 He urged the EAC to identify and prioritize the areas in which it would require increased support from the EU. 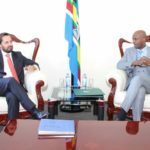 Amb Sezibera and Amb van de Geer agreed to hold bilateral talks to re-examine the cooperation framework between the EAC and the EU with the goal of making improvements, with technical teams from both sides exploring areas for future cooperation. Amb van de Geer conveyed the EU’s condolences to the EAC and the family of the late Ms. Isabelle Wafubbwa, the Principal Political Affairs Officer, at the Community who passed on recently. 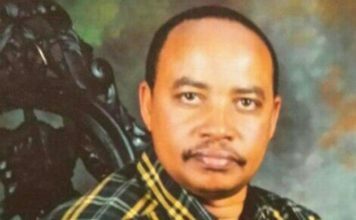 He described Ms. Wafubbwa as having been instrumental in cooperation between the two regional economic communities especially in the field of political integration. 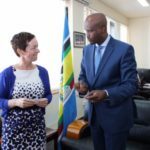 On his part Ambassador Cartier said his country was keen on strengthening her relations with the Community, by being part of the solution to various challenges facing the EAC. In his remarks, Dr Sezibera thanked the Belgian government for her offer of additional support to the EAC, adding that a framework of agreement for cooperation will be developed between Belgium and the Community. The Secretary General hailed Belgium for her contribution to the Partnership Fund, which has enabled the EAC to undertake programmes and projects in various sectors.